As fully qualified Gas Safe heating engineers we have extensive training and experience on installation, servicing and repair of all makes and models of Gas boilers. 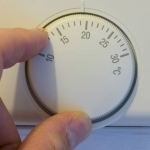 If your Boiler is over 10 years old it could be time to consider replacing it. Installing a new A-rated 90% energy efficient boiler will not only save you money but means you are also doing your bit for the environment. 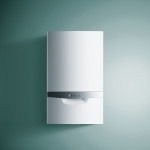 Installing a new A-rated energy efficient boiler can save you over £300 a year. Poulton Plumbing & Heating specialise in boiler replacements using boilers from a wide range of manufacturers such as Baxi, Vaillant, Potterton, Worcester and Ideal. These A-rated energy efficient boilers will help to save you money and improve the performance of your system, making it more reliable and efficient. We will complete additional system improvements such as system power flushing where required ensuring your new boiler and heating system is working at optimum efficiency. Your Boiler is an integral part of your home. You use it everyday even in summer and a yearly service ensures it is running safely & efficiently. A poorly maintained appliance may cost you more money plus unserviced appliances are more prone to breakdowns and can become unsafe. Gas Boiler manufacturers recommend that you service your boiler every year and an annual service can save you between 10-15% off your energy bills. Gas Fires and Cookers also benefit from a yearly service. For peace of mind we always recommended that a Carbon Monoxide Alarm is installed. If your Boiler breaks down we know how upsetting it can be living without heating or hot water, that’s why our engineers will try to fix the problem quickly and efficiently. Whats more we will only charge a one off call out rate and inform you if any more cost will be involved for parts etc before we order or fit them. All of our diagnostic engineers are highly trained with a friendly, professional approach and will have your Boiler up and running in no time. We also offer Gas Fire, Gas Cooker and other gas appliance repair. If you see stains or heat marks around appliances this may be a sign of a problem. 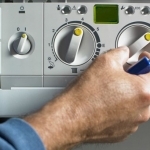 Turn off the appliance and get a Gas Safe Engineer to check and test the appliance.